Share the post "Why Your Datacenter Hates When You Send Bulk E-Mail"
The latest estimates we’ve seen, and the statistics we review every day on our own mail systems and the filters run by our partners at MXLogic, tell us that at least 80% of all email is now bulk e-mail. That’s right. EIGHTY PERCENT. Its likely more than that. We handle mail for some domains for which over 90% of all incoming messages are spam. Its completely ridiculous at this point. Obviously, filtering that barrage of canned lunch meat is no small task. Keeping mailboxes clean and tidy has evolved into a full-time specialty. There are now entire companies, or divisions of companies, devoted to doing nothing more than filtering mail. The names might be familiar to some of you. McAfee runs MXLogic. Google runs Postini. Symantec has Message Labs. Cisco owns and operates Ironport/Senderbase. Hundreds of millions of dollars are being spent every year by big names in the business to combat spam and keep email from turning into a completely fruitless ordeal. As spam filtering has evolved through the years, it has become less a game of “whack-a-mole” and more a matter of reputations. In the past, lots of time and effort was spent constructing filters that would catch messages sent from specific addresses or domains, and messages containing specific patterns of text. That still goes on, but we’ve gotten smarter. Spammers need a place to call home, and over the last 15 years of the Internet, patterns have emerged that make it relatively easy to find those providers and networks that are happy to have them. Certain networks, identified by autonomous system numbers and IP address ranges, seem to originate large quantities of bulk e-mail on a regular basis. When you do that, you get noticed. People talk about you. In short, you develop a bad reputation. Get a reputation for being a network friendly to spammers or tolerant of spam and you’re going to start to have problems because the other networks will not want to play with you. Heck, they won’t even want to talk to you! So why does your datacenter/colo provider hate it when you send bulk e-mail? Its simple. Since in the vast majority of cases even the most well intentioned customer is actually engaging in what is technically classified as spamming, the sending of bulk e-mail can quickly lead to the erosion of one’s reputation as a “clean” network. Once the likes of Senderbase has decided that your network is likely to be a spam origination point, mail starts to bounce as other networks refuse to accept mail connections from you. That situation can escalate pretty quickly, encompassing lots of innocent bystander customers, and if there’s one thing people HATE, its email that doesn’t get delivered. Nothing makes the phone ring louder than bouncing email. At GBCX we’ve dealt with more than our share of problems caused by a single customer sending mail to 22,000 people that they think want to hear from them. When it turns out that 10,000 of them really don’t, suddenly mail from EVERY customer using that mail cluster starts to bounce and people start to get angry. This is why your datacenter operator hates when you send bulk e-mail. “But I’m not spamming!”, you might say. We have a few guidelines that we require all customers to follow if they intend on spending bulk e-mail. If you don’t follow them, then you ARE spamming, even if you don’t mean it. You can’t buy or rent lists of email addresses. You can’t send bulk email to anyone that hasn’t specifically asked to get that email from you via a confirmed opt-in process. Every email must contain the address to which the message was sent. This must be in the body of the message, clearly stated. Every email must contain an explanation of why the recipient is getting the message. Again, this must be in the body of the message, clearly stated. Every email must contain instructions on how to be excluded from any future mailings. This has to include an unsubscribe link and a way to contact the sender via email or telephone. When someone reports your email as spam, even though they’ve asked to get it, its spam and you MUST remove that person from your mailing list(s). Finally, and most important. 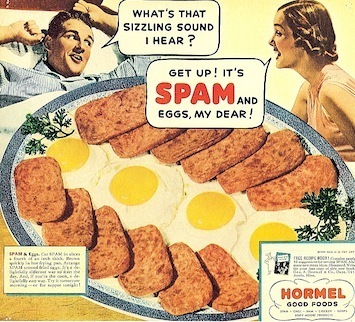 If enough people say your message is spam, no matter how hard you tried to follow the rules … ITS SPAM. Thats not fair. That’s not helpful to marketers. That doesn’t build empires, but that’s how the Internet works and it simply is not going to change for anyone. Everyone wants to use bulk e-mail as a marketing, selling, brand-building tool. We get that. Unfortunately doing it correctly takes more than just a little bit of work. If you’re willing to put in time and effort it takes to use bulk email appropriately, your datacenter provider will likely be willing to work with you to make it a positive experience for all involved. Otherwise, you’re just adding to the mountain of spam-related headaches they’re already dealing with on a daily basis.